All cavenauts and three support staff spent the night safe and sound at the advanced campsite, after a long day of exploration. The three staff members returned to the Sa Grutta Campsite and spent the night there with the rescue delegation. Activities went very smoothly on day 3 according to plan. The crew and support team crossed the Baikal Lake, adventuring beyond advanced camp. 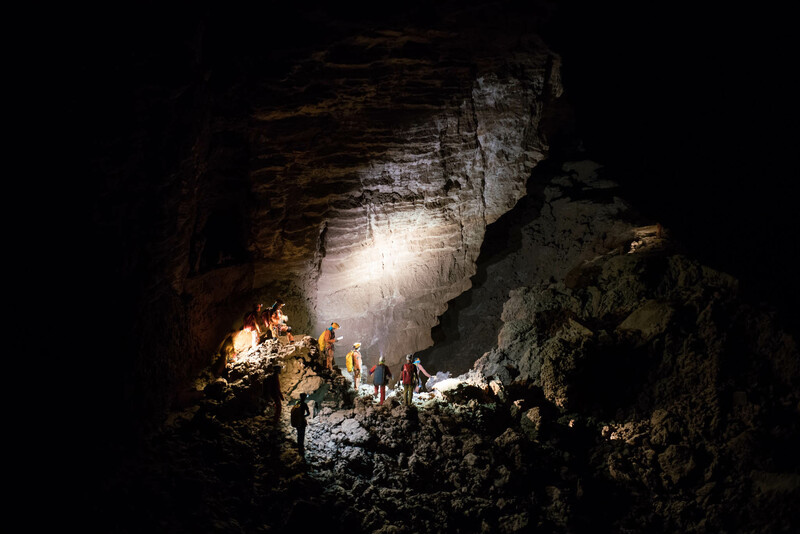 Chinese astronaut Guangfu did a cave survey with cosmonaut Sergei taking photos. 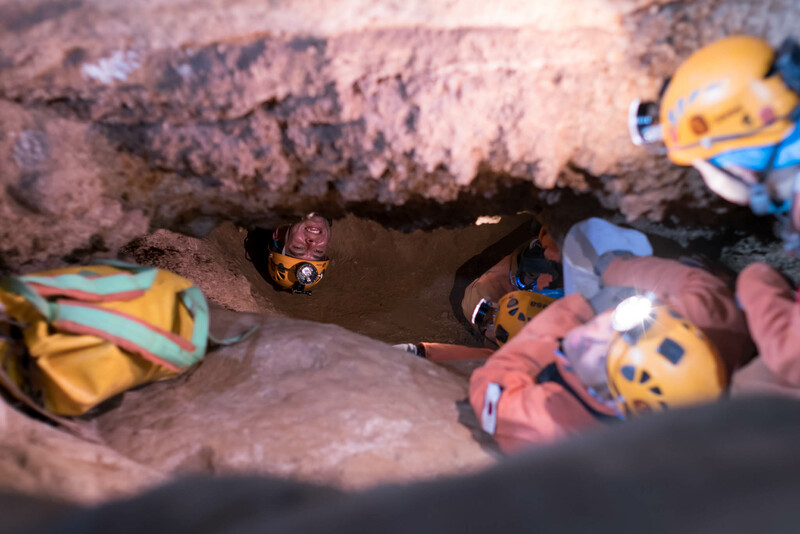 NASA’s Jessica collected underground fauna while ESA’s Pedro Duque performed his environmental science tasks. Once back to advanced camp the cavenauts finished with the preparations for the night and Japanes commander Aki Hoshide communicated the status – ALL GOOD! – to ground support with the TEDRA communication device. The day was closed by the Leadership Handover. For the rest of the Mission, Aki will be Campsite Manager and NASA’s Ricky Arnold will be the crew commander. Support activities took place as expected. A three-person support team provided a resupply, waste removal and transport of items from the campsite back to the above-ground refuge. 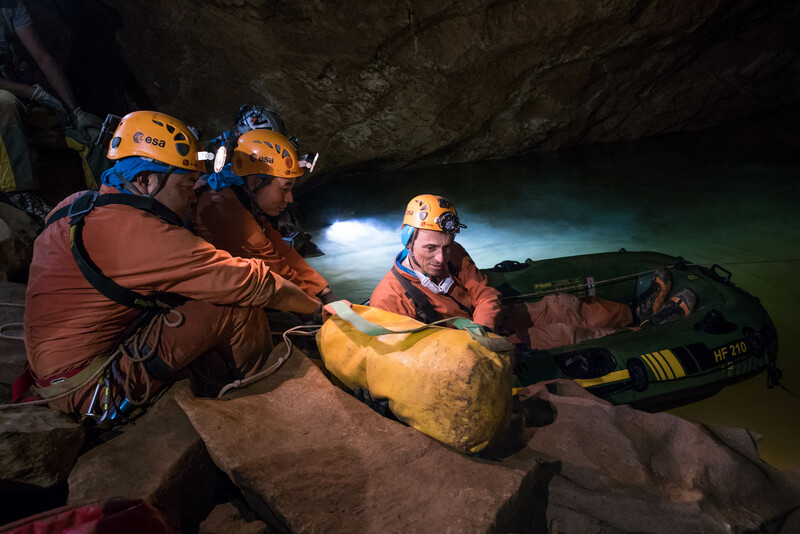 A team of two from CNSAS, the Italian rescue organisation supporting CAVES, stayed the whole day at the campsite and will spend the night there with three staff members from the exploration support team, who will join the crew tomorrow morning.